All Joshua homes currently listed for sale in Joshua as of 04/19/2019 are shown below. You can change the search criteria at any time by pressing the 'Change Search' button below. If you have any questions or you would like more information about any Joshua homes for sale or other Joshua real estate, please contact us and one of our knowledgeable Joshua REALTORS® would be pleased to assist you. "NOTE: Access to the property is 1201 Forrest Lane. Stunning, gated, private approx. 9 acre estate perfect for entertainment. Features grand entrance, gourmet kitchen open to living area. Game room up. Private master suite. Craft room, office, AND concrete Safe Room. Grounds include pond and insulated shop with rollup doors. Diving pool with hot tub and tanning ledge. Balcony with amazing views! Plumbed for out kitchen, bar upstairs, shop bathroom." 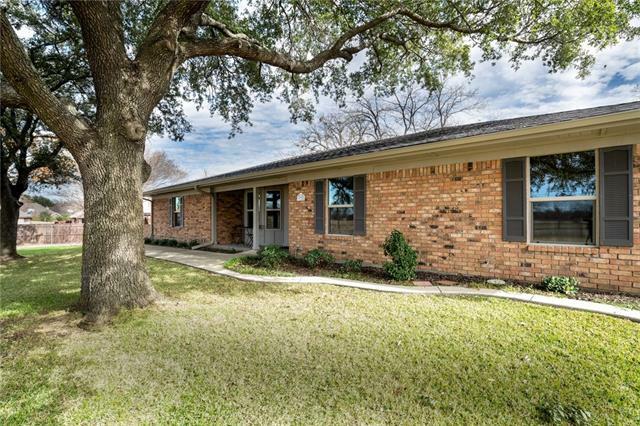 "Country Charm And Gracious Living Abound In This Equestrians Delight of 33 Beautiful Acres with a spring fed pond Just Minutes From Burleson and Joshua in the heart of the D-FW Metroplex. This fabulous country home is ideally suited for grand-scale entertaining with a fully equipped kitchen which flows to the gracious dining room with vaulted ceilings offering a feeling of grandeur as the centerpiece of this magnificent home. 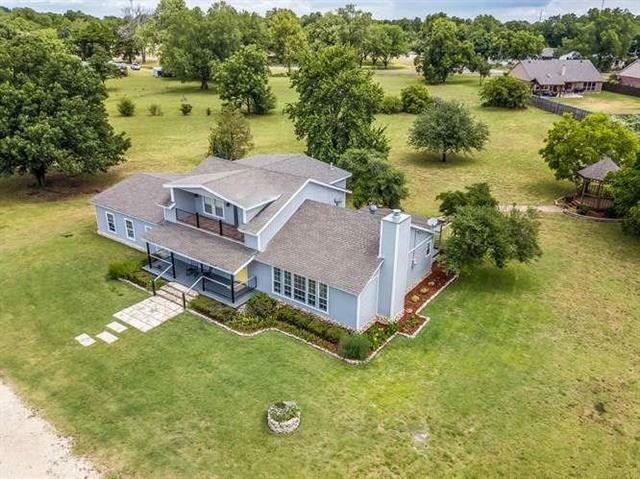 Truly exciting design and features abound with a meticulous attentio"
"EQUESTRIANS DREAM LOCATED 4 MILES FROM I-35 AND 28 MILES FROM FROM FORT WORTH. 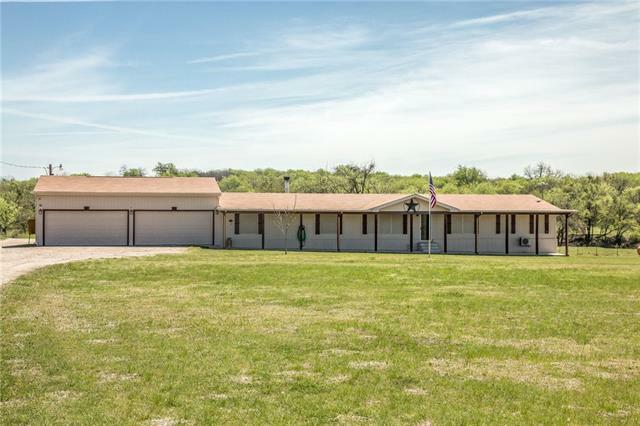 THIS RANCH STYLE HOME AND PROPERTY OFFERS EVERYTHING AND HAS POTENTIAL INCOME WITH ITS FACILITIES. THIS MOST DEFINITELY IS TURN KEY READY. 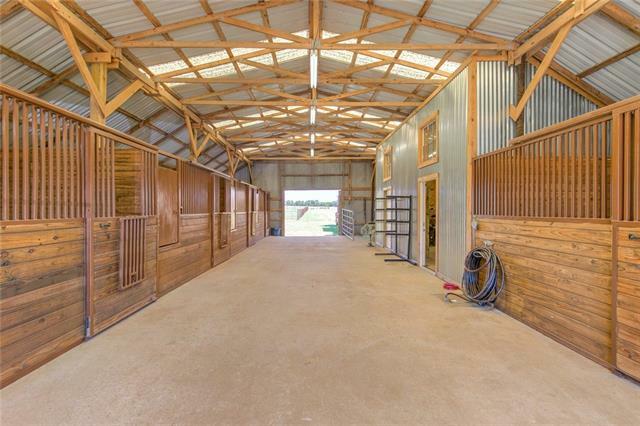 CUSTOM BUILT 3.2.2 WITH OPEN CONCEPT SPLIT FLOOR PLAN LOCATED ON 10.69 ACRES , RD FRONTAGE ON BOTH SIDES WITH 2 ENTRIES, LANDSCAPED, TANK*POND WITH A 100X100 COVERED ARENA MADE OF RED STEEL,PIPE HOLDING PENS, 8 STALL HORSE BARN WITH 12X12 STALLS, WASH RACK,TACK ROOM, FLY SPRAY SYST"
"Looks like a Park!! Joshua ISD!! 10 min. to Tollway & 35 min. to Fort Worth. Beautiful setting, shade trees & in a great location. 18+ acres of heaven!! 300'x180' Lighted Roping Arena with Priefert chute!! 60'x40' Show Barn with large tack room & wash bay. 6-12'x12' Stalls with Turnouts. 2 150'x100 Turnouts with 24'x12' with loafing sheds. Fenced & cross fenced. 2 covered RV and-or horse trailer covered parking 12'x36' & 14'x40' & 4 RV plug-ins. 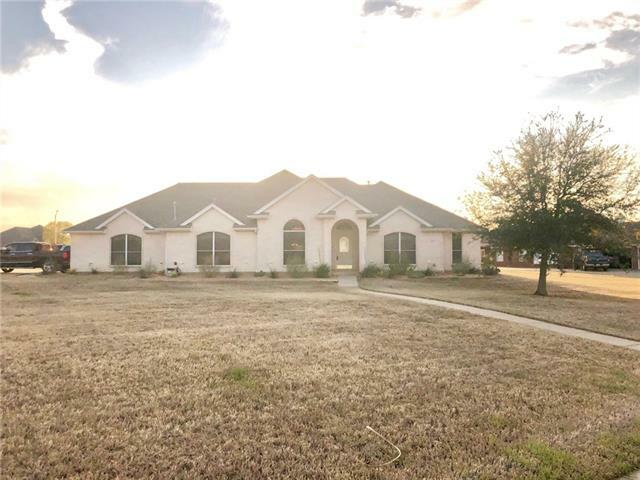 Approximately 17 acres of improved coastal pasture"
"Country living on 9.5 acres with Chisholm Trail access, located in Joshua ISD. 2,128 sqft. home with a full material conversion inside,out from doublewide to single family dwelling. 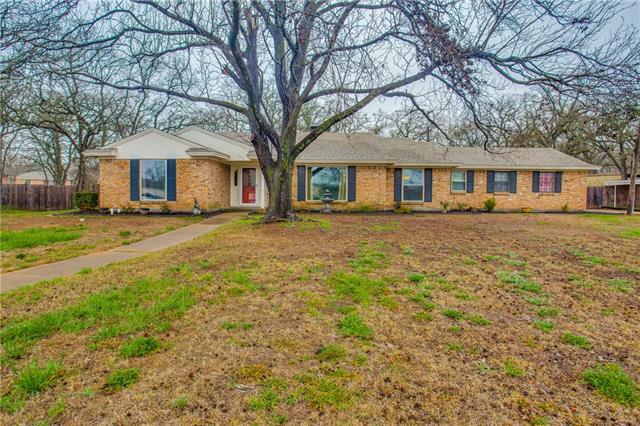 4 bd 2 ba and office as possible 5th along with two large living areas and separate dining make this a home for any family. Added amenities like large rock fireplace, kitchen counter and custom cabinet upgrades add to a quality lifestyle. Relax or entertain on the 100+ ft covered deck. Park or work year-round insid"
"Stunning farmhouse style home in Joshua ISD! Large covered front and back porches. Will have stone fireplace, granite c-tops, & ss appliances. Process is just getting started. Should be done around September." 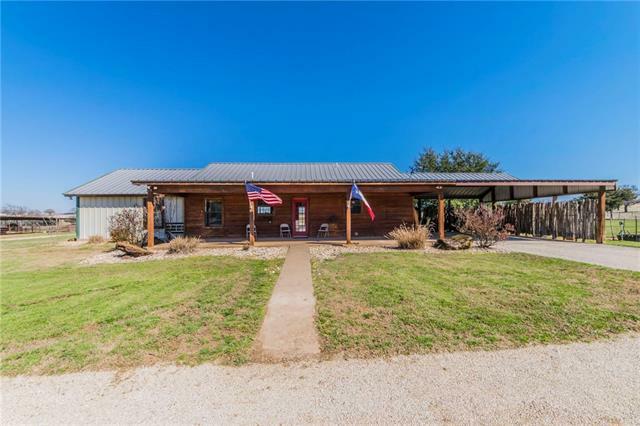 "Beautiful barndominium on 8.9 acres close to Chisholm Trail Parkway!! Large, open concept floor plan with concrete floors throughout. Inside walls & ceilings are made out of 100 year old barn wood. Living room off entry with a lot of natural light. Kitchen boasts Kenmore elite stainless appliances, granite countertops, breakfast bar, dual sinks & walk-in pantry. Master bedroom with sliding barn door. Master bath with granite countertops, large walk-in shower & closet. 2nd bedroom has private bat"
"Gorgeous 4 bedroom, 2.5 bathroom new construction home on 1.2 acre lot in Joshua ISD! This home is light and bright! Formal dining room off of entry has decorative lighting and picture window. Office has vaulted ceiling and closet and could easily be 5th bedroom or game room. Open concept living room with wall of windows, electric fireplace, and soaring ceilings. Stunning kitchen equipped with granite countertops, ss appliances, and subway tile backsplash. Lovely master bedroom has spa-like en-s"
"MOVE IN READY!!! Bring your Horses Boats, RVs. No city taxes, Country living. 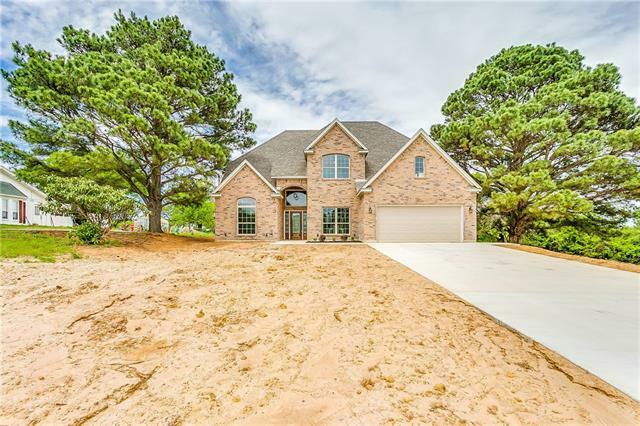 Beautiful large open living room with elegant crown molding and dinning area makes this a great home for entertaining, Master suite include garden tub, separate shower. Beautiful park like setting surrounded by nature. 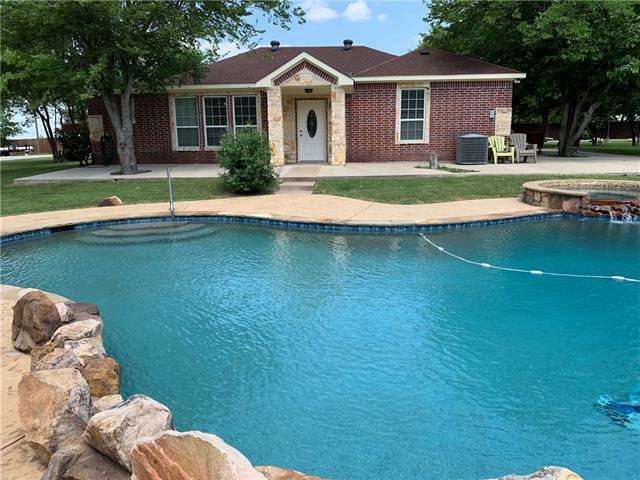 Very private and peaceful Acreage completely privacy fence with a cedar beamed patio with outdoor fireplace and a gorgeous pool and spa makes the perfect spot to relax. Also has a water well for watering"
"Upcoming Brand New Construction!!!! 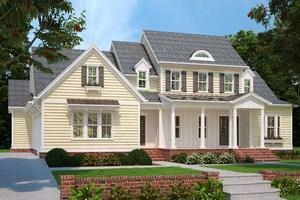 Colonial meets Prairie Style home, make a gorgeous look!! This 4 bedrooms, 4 and a half bathrooms, 3 car garage features a mud room, media room, and granite countertops in the kitchen. 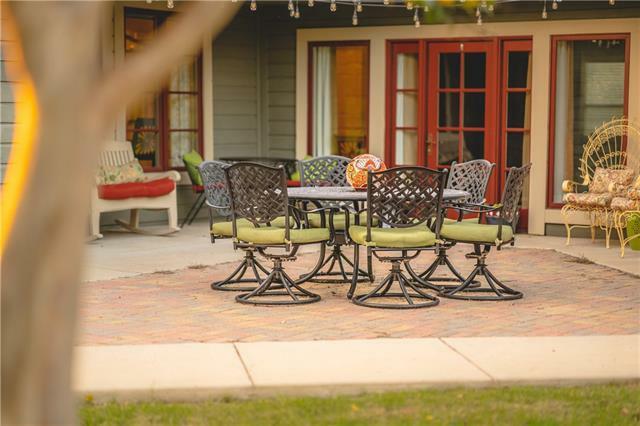 Perfect for and with plenty of room for entertaining!! Home sits on an acre lot, that is beautiful with scattered trees. Relax on either the front or back covered porch and enjoy the Texas breeze. Floor plan is subject to change during framing. Will be in the beginning stages o"
"Stunning siding and stone ranch style home on an acre in Joshua ISD. We are in the beginning stages of building and home should be complete around September (weather permitting). 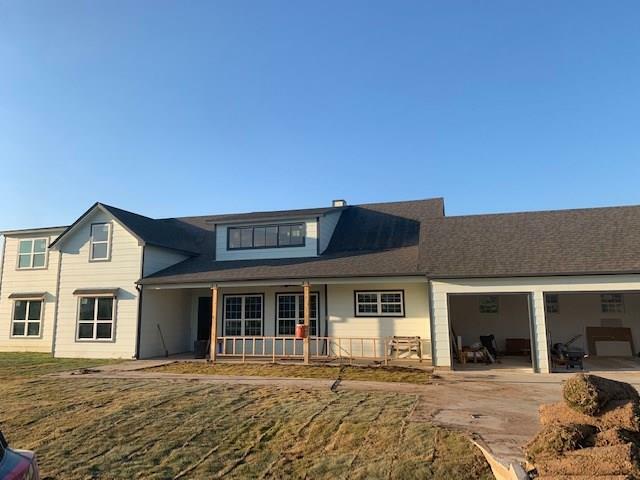 Home will have an open-concept, 3 car garage, walk-in pantry, huge master closet, granite c-tops, stainless steel appliances, and convered front and back porches." "Stunning renovation on 4.68 acres in the heart of Joshua! 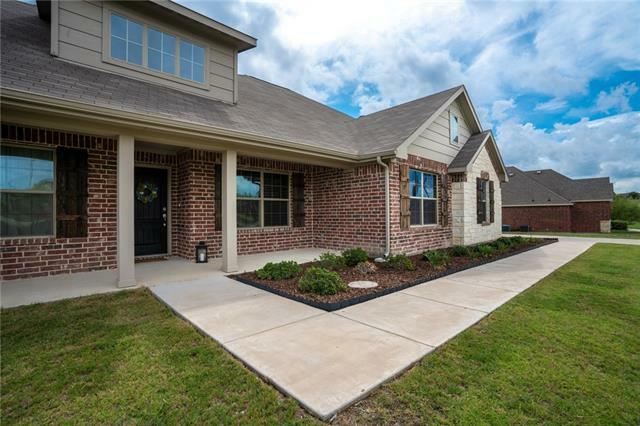 You will appreciate the design and careful attention to detail in this home featuring large covered front porch with iron accents, elegant landscaping with stone details, lovely gazebo for outdoor entertainment, wood flooring, granite countertops throughout, shiplap accents, custom cabinetry and doors, 10 ceilings, recirculating fireplace, and a 3 car garage. The spacious master suite boasts a barn door entry, large walk-in closet with"
"Imagine the possibilities! This home is currently tenant occupied and used as a residence. Per the City of Joshua, it is zoned commercial and can only be used as a residence as long as it remains occupied. Buyer can leave it as residential if they keep it occupied, or they can turn it into a commercial building. Would make a great location for a number of businesses." 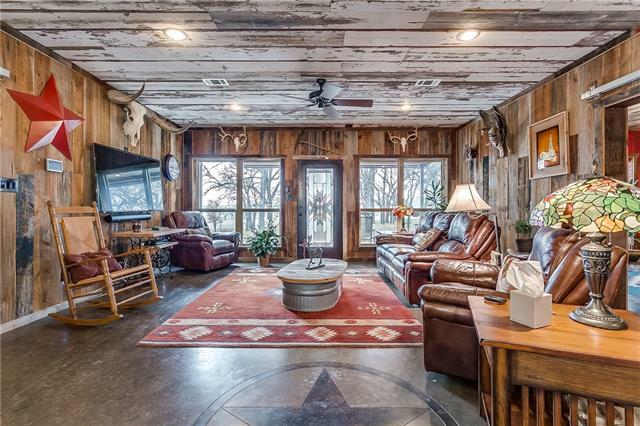 "A home in the country is just what I think when I pull up to this beautiful home on one acre. Open concept floorplan with a kitchen that opens up to the living room. Kitchen has granite counter tops, stainless steel appliances, Ceramic Tile. Master bathroom suite with double vanities, garden tub, and separate shower. Upstairs Gameroom or media room with its own separate bathroom. Oversized garage and a view the pond from the back porch. Call me to schedule a tour of this home." "Rare Find! This lovely home is located on the banks of it's own lake, which is maintained by the Army Corp of Engineers. The living area includes a large living room, with a cozy brick fireplace, and the modern kitchen and eating area. Perfect for entertaining family and friends. The three large bedrooms and 2 full baths have plenty of room for the busiest of families. A nice 2- Story shed is perfect for an in home office or shop. This property has a lovely street view surrounded by a stur"
"Fabulous custom brick home in the renowned Joshua Meadows Subdivision. Close to schools and all local shopping and restaurants. This stately property is situated on an almost 1 acre corner lot and sits among other beautiful homes in this neighborhood. 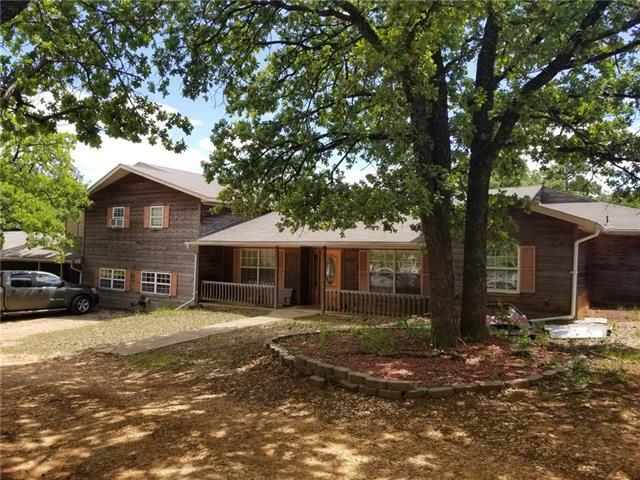 4 bedrooms, 3 full baths and a 3 car gar on openers make this home perfect for a large or growing family and entertaining guests in. A formal din rm, breakfast rm, eat in kitchen, a bonus rm that could be used as a den or game room and an addit"
"This traditional Joshua home is fully renovated with updates throughout. Home sits on 1 acre, right across the street from the city park with a beautiful pond. This home is spectacular! Home features a large master bedroom and living room, breakfast nook, fully updated kitchen with updated counter-tops and backslash and custom storage. Back yard has a concrete pathway to a 16 x 20 workshop with electricity. Home has a large concrete patio for outside entertainment. Home also features RV parking "
"This home has lots to offer with Granite counter tops and custom cabinets throughout. Kitchen features Marble floor, gas stove, SS appliances and walk-in pantry. Formal dining,and on 2nd level a media room, extra living space with balcony and game room. The stone wood burning fireplace, built-in cabinets and shadow box ceiling complement the wood floors in living area. Master bath offers a walk-in closet with dual sinks and separate tiled shower and a garden tub to relax in. Long driveway into t"
"Over an acre of mature trees with 3 spacious bedrooms, 2 bathrooms, 2 living areas, and brick surround wood burning fireplace. The master retreat offers room for a sitting area, dual sinks, frame less glass shower and walk-in closet. Don't miss the sun room which overlooks the huge backyard fully fenced offering an in-ground pool and workshop with electricity. 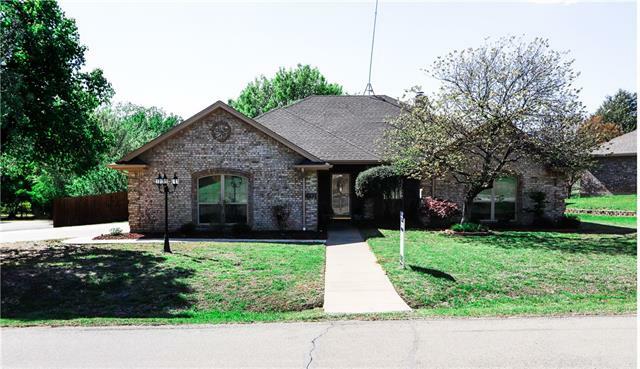 Conveniently located close to town and only a few miles from Chisholm Trail." "Looking for that stunning new construction home on a 1-acre lot? Double Rock Homes has the home for you! You will love the serene feeling upon entering this gorgeous home! The 1 acre lot is ultimate for privacy, social gatherings or just enjoying the outdoors. This stunning traditional design features granite counter tops, magnificent sized walk-in shower in master bath with double sinks, covered back patio and elegant touches throughout. Master closet is superior. Home incudes foam insulation, "
"Unique house! Has upstairs apartment, a total of 3 kitchens. Must see!" 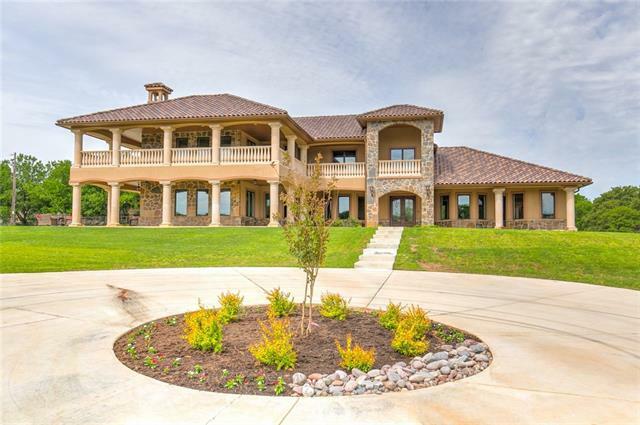 "BRAND NEW JOHN HOUSTON CUSTOM HOME IN COOPER VALLEY! Beautiful 1 story 3 bedroom home that features offers on open island kitchen design great for entertaining and has a master closet extension. Plus, it offers custom 42 inch cabinets, built-in stainless appliances, granite in kitchen, wood burning fireplace, wood floors, back covered patio and more! READY IN NOVEMBER!" 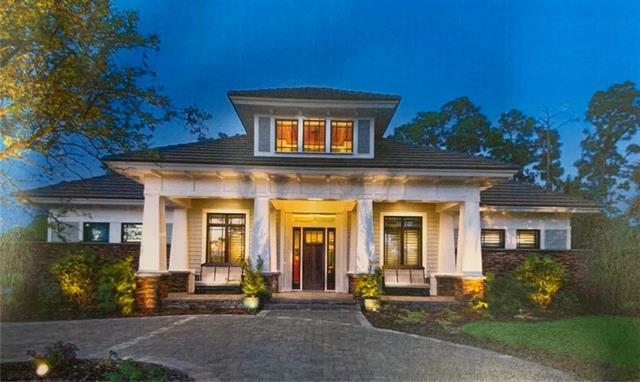 "Wonderful home in a golf community. Side entry garage with longer than normal driveway, which was also widened an additional car width. The backyard has a beautiful wood fence that was installed 3.5 yrs ago. 8' x 12' storage shed in the backyard. Back patio has been extended by 12' x 24'. Sundowner canopy on patio. Home has a 4KW solar system (1 yr ago). 2 heating & air units, one 3.5 ton & one 2 ton with the Nest system on it. 3 bedrooms, an office that has a closet (could be study or 4th bedro"
"Back on the market! Contingency contract fell through. Perfect family home on a cul-de-sac in original Mountain Valley with no HOA. The house features 4 bedrooms, 2 bathrooms, and a large bonus room or sun room. Spend time outdoors this summer in the well maintained half-sunk above ground saltwater pool with deck. The kitchen features neutral Corian counter tops, the living room has great built-in, and the master bathroom has Jack and Jill closets."